photo by Virginia Linzee. Makeup Artist extraordinaire. 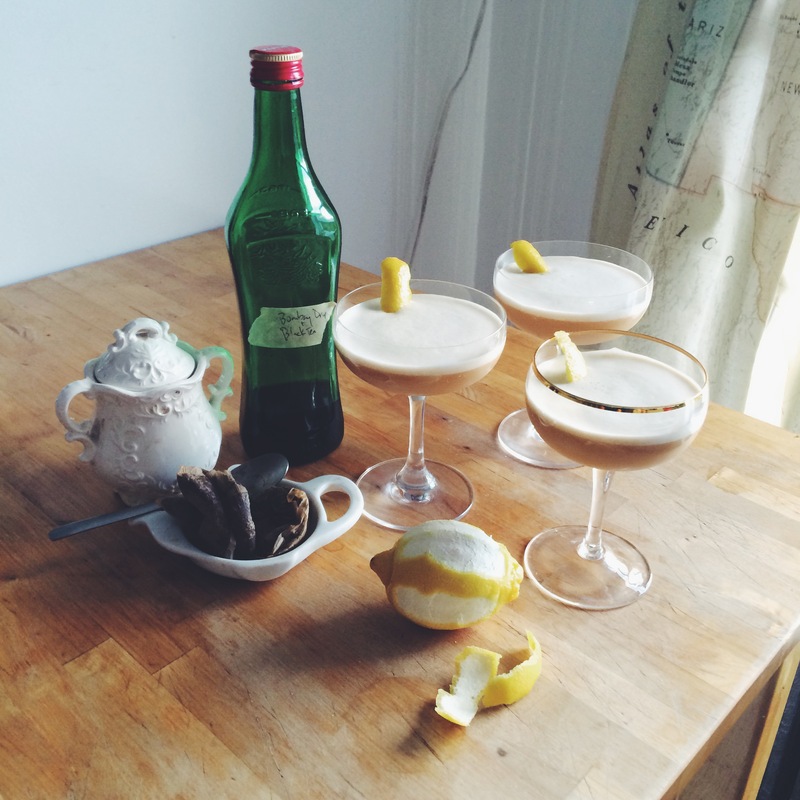 While at a lady Tea Party for ladies today, I made my own improved version of Pegu Club’s MarTEAni. This is already a fantastic cocktail and my improvements simply consist of using a Whole Egg instead of Egg White and adding St-Germain. In tin, combine Gin, St-Germain, Lemon Juice, Simple Syrup and Egg. Dry shake vigorously for appoximately 30 seconds to emulsify egg. Add ice and shake vigorously again. *Black Tea Infused London Dry Gin: place approx 1/4 cup of loose tea into a 750ml Bottle of Gin. Shake, then let sit for approximately 2-3 hours occasionally shaking. Strain and bottle.